Home Articles Supplement Advice What is the best protein bar around in 2019? What is the best protein bar around in 2019? Shopping for protein bars can be overwhelming. There are so many bars from different brands, flavours, protein content and ingredients. Food science has progressed to the point that most proteins bars will provide the nutritional benefits for which you are seeking, but depending on what you are looking for, there are still some options that are better than others. If we had been making this list a few years ago, it would basically just include the Quest Bar – the first protein bar to include prebiotic fibres and high-quality protein in a genuine low carb bar. But now that their secret is out, other companies are beginning to mimic this formula. This means more options for you, but also more confusion trying to determine which is the best protein bar. We’ve done the research, and we think these are the best protein bars you absolutely need to try in 2019. Aside from having a great name, Grenade’s Carb Killa protein bar is known for its chocolate flavour that rivals that of your favourite candy bar. These bars are low in sugar and have only 214 calories, making them a great choice for those dieting. Plus, the 23 grams of protein will keep you full and provide enough energy to get you through your day. Remember those candy bars you used to love as a kid? You can now get that same great taste in a protein-packed bar. The Mars hi protein bar packs the same chocolate and caramel flavour you love in Mars Bars into a high-protein, low-carb snack that’s perfect for all occasions. Whether you’re looking to tone up or slim down, consider grabbing a Mars protein bar. Mars takes it one step further with its Bounty protein flapjack. This take on the popular coconut chocolate candy provides an alternative to high-sugar and high-fat snacking. The delicious bar has only 7 grams of fat and 214 calories, making it a perfect option for after a workout or simply satisfying your sweet tooth. Another popular option from Mars, the Snickers hi protein bar is packed with flavour and nutritional value. The great-tasting mixture of milk and whey protein helps muscles recover and refuel after workouts, leading to additional growth. This is the perfect bar for someone looking for a blend of great taste and nutritional benefits. Quest is still king, and a few of its bars make our list of the best protein bars of 2019. The traditional Quest protein bars come in more than 25 flavours, all packed with energy and low carbs. Quest uses only natural ingredients and high-quality protein in its bars, and each bar only contains about one gram of sugar. These bars are ideal for dieters since the high fibre keeps you fuller than some of the other options on the market. For those looking for something a little sweeter, consider Quest’s Hero protein bars. These bars feature the same high-quality protein sources made famous by Quest’s tradition bars, but are made to have flavours closer to a candy bar than a protein bar. These versatile protein bars include more carbs, making them a great choice for bulking, and the low calories make this a great option for those who are dieting. Battle Bites are a delicious protein snack which contain 21 grams of high quality protein necessary for muscular growth and repair. With two pieces in each wrapper, they come in a range of flavours not normally seen in the UK and with their protein sources being predominantly milk protein; these are great for keeping you full for longer. With 21 grams of protein, and between 1.9g and 2.9g of sugar per bar, these are the perfect addition to your gym bag, especially with their unique “cake” like textures. three grams of sugar, and only 110 calories, you won’t find a more nutritious breakfast bar than this. Packing 20 grams of protein and a cookie-like texture, it’s no wonder the Musclepharm Combat Crunch protein bar is one of the favourites on the market today. These protein bars are low in sugar and high in fiber, making them a great option for a healthy snack in between meals. Plus, Musclepharm comes in a variety of flavours, including chocolate brownie, chocolate chip cookie dough, and cinnamon twist. One of the top challengers to knock Quest off of its protein bar throne, the Oh Yeah! One Bar is consistently rated one of the best tasting protein bars. Plus, with a whooping 22 grams of protein, the One Bar outperforms many other bars on the market. Ideal for dieters looking for a high-protein diet, these bars keep you full in between meals while helping to keep your calories down. Where would a best protein bars of 2019 list be without at least one vegan option? No Cow No Cow Bars is dairy, gluten, and soy free, and yet still packed with incredible flavour. Even without the dairy, these bars are loaded with protein from brown rice and peas – adding up to at least 20 grams of protein in each bar. Optimum Nutrition are known for their protein powders, BCAA powders and apparel. Now jumping on the bandwagon of protein bars, they recently released the new Whipped Bites. Available in 5 flavours, they contain 2 whipped bites with a delicious cakey texture. Each pack is less than 250kcal with a great 20g protein from milk protein isolate, whey protein isolate and milk protein concentrates – the perfect blend of protein sources to keep you fuller for longer! This high protein, low sugar snack bar from Redcon1 is made from premium quality ingredients – something which Redcon1 fulfil in all their products. Containing no whey protein, all the protein is gained from whole food sources such as beef protein, salmon protein and chicken protein. But don’t worry your bar won’t taste like meat. Instead the non-sticky texture makes it easy to eat on the go, and the unique flavours are true to design. Combing taste, texture and satiety all wrapped up in a delicious tasting bar. This is definitely one for your list to try. Another healthy alternative, the RX Bar also uses natural ingredients as its source of protein and fibre. A low-sugar and fat option with up to 12 grams of protein in each bar, the RX Bar is perfect for dieters or bulkers looking for a healthy and filling snack that’s free of artificial fillers. If you love chocolate, you’ll love Chef Robert Irvine’s Fit Crunch Brownie Bars. This protein-packed take on the decadent dessert has only 190 calories and is gluten-free. It’s the perfect snack choice for refueling following a heavy workout. Another take on the delicious dessert, our Predator Brownie uses only natural ingredients and features 15 grams of protein in each bar. The Predator Brownie tastes just as good as the real thing, but keeps you full longer. Our brownie is ideal for that sweet tooth craving. One of our favourite Vegan protein bars that are on the market in 2019. Vega protein bar is a great protein bar to try if you follow a vegetarian or a vegan diet. Most other vegan protein bars don’t have a good texture, but Vega made sure that the texture in this bar is both chewy and crunchy. Each bar has 20g of protein, 10g of fat and 290kcal. For individuals on a low carb diet, this bar isn’t for you as it has 27g of carbohydrates (and 18g sugar), but this makes it a great pre-workout energy bar! We take taste and texture over the sugar content any day! Another bar that compares to Quest and Carb Killa, the PhD Nutrition Smart Bar features 20 grams of protein in a variety of different flavours. Like most smart bars, this option has such a nutritional balance that it can be used as a snack, to bulk up, or even to diet. In the world of dessert protein bars, Optimum Nutrition takes the cake. Its delicious cake bites have 20 grams of protein from high-quality whey and milk sources. What sets these apart is the extremely realistic taste that some reviewers even call better than the real thing. These cake bites are perfect for a protein-packed healthy snack. Barebells is now one of the fastest growing brands in the fitness industry. With 6 unique and delicious flavours and under 200kcal per bar, what’s not to love? It’s the bar that is low in carbohydrates, fats and calories. So from our books this is one of the protein bars that you need to be trying in 2019. If you have a sweet tooth, then you will love this bar due to its sweetened chocolate, chewy and crunchy texture! Whatever your dietary preferences, regimes or macro needs, this bar will satisfy all those and more! 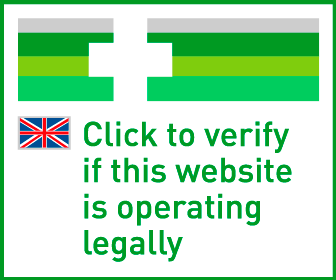 Use it to optimise your performance. We can provide endless reviews and comparisons, but ultimately, you are going to select the protein bar that meets your nutritional or taste requirements. 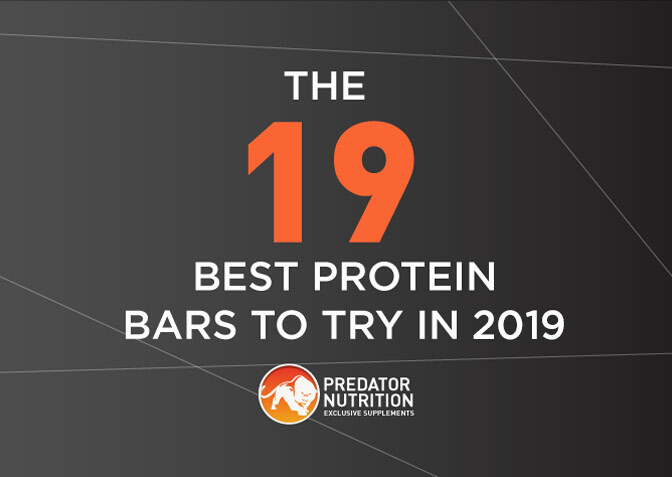 We just hope our list provides some assistance if you’re in the dark about picking the best protein bars of 2019.